Benzyl Benzoate (BB) is the primary solvent, which keeps the product from crashing. Benzyl- Benzoate is a solvent. This means solutes such as Steroid Powders dissolve easily in it, and that is the main purpose of its use in Steroids. The Benzyl Benzoate is used to dissolve and suspend the Hormone Powder. If the correct amount of this solvent is not used the Hormone powder will ‘undissolve’ from the solution causing the Steroids to ‘Crash’ (get cloudy/less effective). 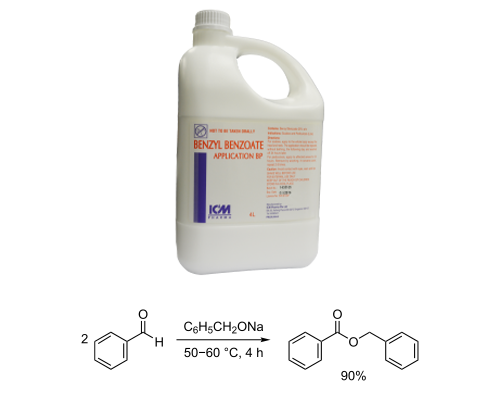 Benzyl Benzoate (BB) is the primary solvent, which keeps the product from crashing.It is A co-solvent in steroid that serves several functions: helps dissolve the hormone, helps keep it in solution in depot (injection site), and thins the gear so it is easy to draw and inject. Benzyl Benzoate is the next common steroid solvent on the list. It is not nearly as strong and much heavier than the benzyl alcohol so benzyl benzoate is used primarily for its latent affects in the depot. Namely it helps keep the hormone in solution at the injection site after the more water-soluble benzyl alcohol has leached from the depot. Benzyl benzoate is constructed of two benzene rings bridged by a carbonyl group, this making the solvent extremely hydrophobic. It is also painless at low levels and nearly painless at 15-20% for most people.is the next common solvent on the list. It is not nearly as strong and much heavier than the benzyl alcohol so benzyl benzoate is used primarily for its latent affects in the depot. Namely it helps keep the hormone in solution at the injection site after the more water-soluble benzyl alcohol has leached from the depot. benzyl benzoate is constructed of two benzene rings bridged by a carbonyl group, this making the solvent extremely hydrophobic. It is also painless at low levels and nearly painless at 15-20% for most people. » How to do finished trenbolone acetate oil?